A soft and supple pair of fitted diapers. One nb/sm and on S-L fitted, each crafted from the same heart print jersey knit fabric, hidden poly fleece, and interlock inner. The nb/sm fitted has a snap-down umbilical cord rise and fits sizes approximately 6-11 lbs. Two rows of snaps at the waist allow for a really adjustable fit. The S-L fitted has crossover wing and snap down rise adjustment with a fit range of 10-27 lbs. Super soft bamboo fitted diaper. This diaper features a cotton knit print outer, hidden bamboo fleece, and an inner layer of cotton velour. The snap in soaker is topped with the same cotton knit print and has three layers of bamboo fleece and one layer of cotton velour. It is serged with white trim and has white Kamsnaps. This is a OS diaper. Every girl needs a little camo in her closet! Pink fleece camo paired with matching pink and black fleece ruffles are the ulitmate in girly take on the classic camo look. 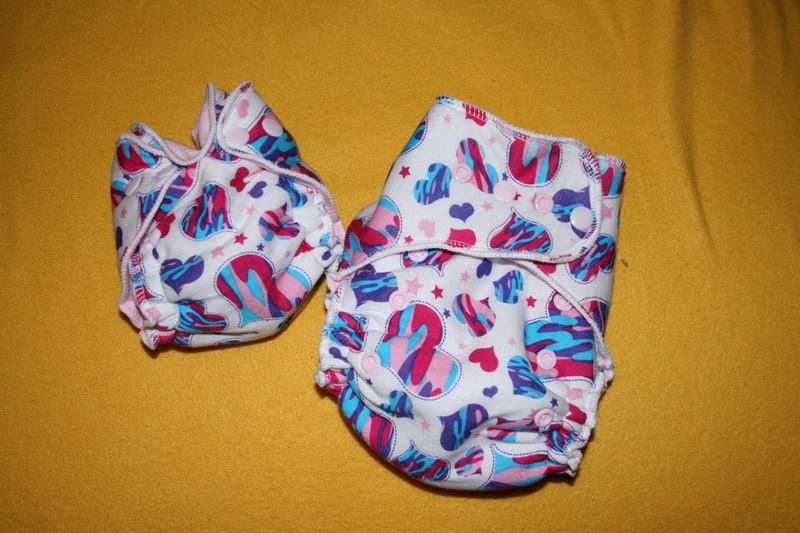 This One Size fleece diaper has alternating black and pink snaps on both the waist and rise asjustment. The outer is a cute pink and black camo fleece. The inner is matching black fleece with a hidden wetzone layer of protection. 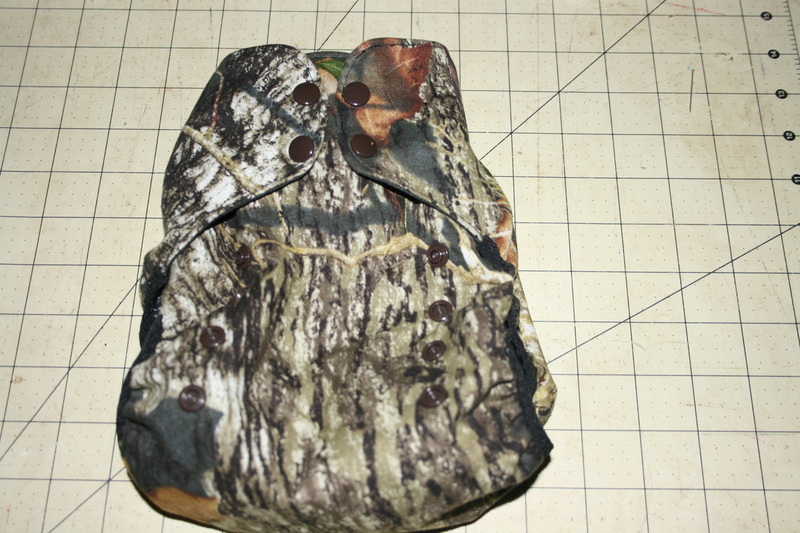 This is a NB/Sm applique fleece diaper. Two layers of anti pill fleece have been appliqued with additional fleece trimmings to simulte Santa's pants! Black fleece for the belt and white fleece around the legs for the cuffs. Although shown in NB/Sm, this diaper is also available as a OS as well. 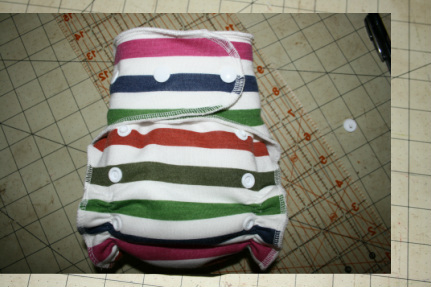 Please allow longer turnaround for this custom diaper! if messes have been contained to the inserts!